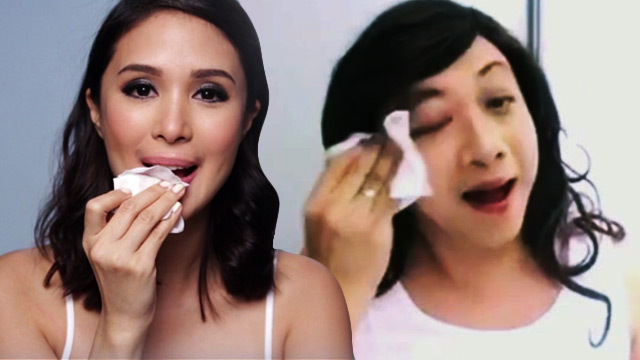 The Bubble Gang funnyman parodies Heart Evangelista&rsquo;s no makeup video! Michael V. has breathed life to a lot of characters for the country’s longest running gag show, Bubble Gang. We're all familiar with his declamation prodigy with a lisp (Cecilio "Tino Ang Dapat Titihin" Sasuman), his wise hugot hermit (Tata Lino), and his perpetually agitated Mr. Know-It-All (Mr. Assimo). All these characters and more are included in Summit Books' latest offering, The Bubble Bible by Bitoy. This time around though, the popular funnyman has decided to reveal his "true self." Yep, you just saw Bitoy’s masterful parody of Heart Evangelista’s no makeup video. If that doesn't make you "Buy na!" then we don't know what will! The Bubble Bible by Bitoy is now available in bookstores and magazine stands nationwide for P250. For updates and more information about the book, like Summit Books on Facebook (www.facebook.com/SummitBooks) and follow them on Instagram (@summit.books)! Video courtesy of Michael V.